The Philips HPR lamp has an internal reflector and incorporates a standard high pressure quartz mercury arc tube within its hard glass bulb to deliver a powerful bluish-white light with strong actinic radiation. The high actinic content of the beam makes the lamp particularly suitable for use in copy board equipment for black and white photographic copying and reproduction. 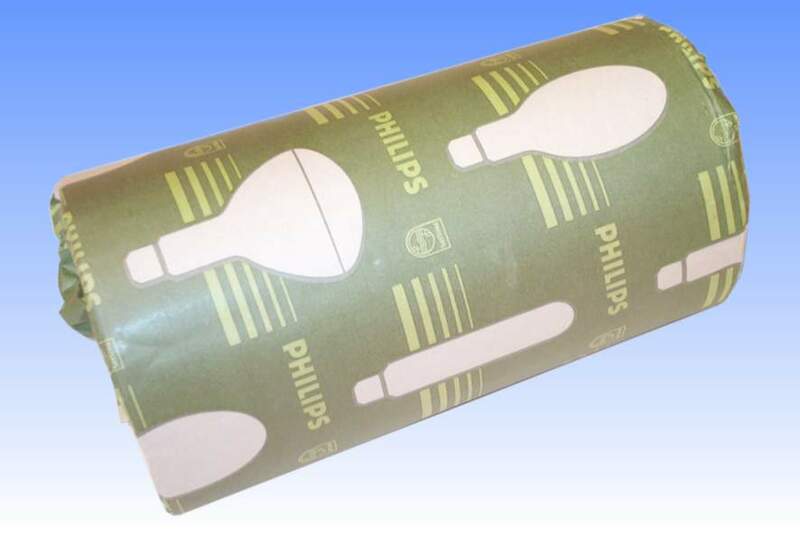 The lamp also finds applications in the silk screen printing industry. When used in conjunction with a separate Woods glass filter, the lamp can be used as a strong black light source, the internal reflector ensuring a homogenous beam of radiation. 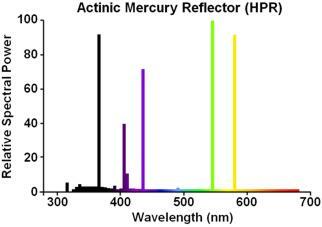 HPR lams are fabricated from a glass which is mildly transmissive to ultraviolet radiation. It does not pass the shorter UV wavelengths emanating from the quartz discharge tube, but some actinic radiation down to about 300nm is transmitted. It is interesting to note the method of manufacture of the unique glass bulb here. Because of the complexity of the indentations in the reflector, it would not be possible to remove the cooled glass from a standard 2-piece mould and so a special 3-piece mould has been employed. The rear of the reflector has longitudinal ridges to delver a narrow beam angle of approximately 30 degrees to half peak intensity, and the front of the bulb is curved and lightly stippled to homogenise the light but without significantly broadening the beam. 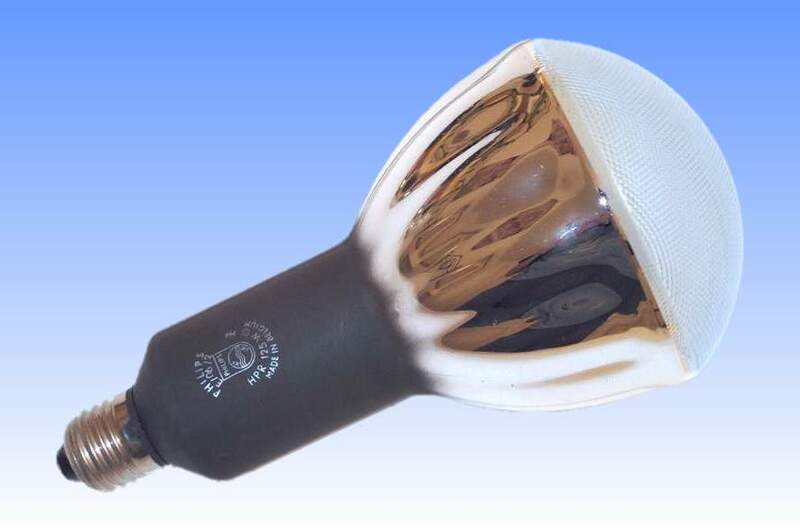 The reflector portion is internally aluminised, and the neck area is externally sprayed black to prevent UV radiation leaking out the back of the lamp uncontrollably. References: 1) Philips UK Lamp Catalogue, 1985. 2) Philips UK Price List, 1988.